Many people believe that we can’t observe evolution, but contrary to popular belief, we can witness evolutionary events; however, perhaps I should clarify — by observing it, I mean that we have observed results in laboratory and natural conditions that are predicted by evolution, and we see the types of changes that would be expected if evolution were true. Of course, we can’t really observe our own evolutionary history (at least, not until we develop time travel), and witnessing species transitions is difficult as it takes tens of thousands or hundreds of thousands of years. Does this mean that evolution is unreliable? Hardly. It is important to note that theories cannot be proven per se, but a theory is not just a random idea that has no scientific backing. The way a theory works is pretty simple: it has to make a clear, testable prediction, and (preferably) make a minimum of new assumptions. So testing evolution is fairly simple. We look at the predictions made by the theory, and then compare them to what we can observe. So far evolution has done a very good job of explaining the things that we have observed, and also at predicting new results as we uncover new ways of testing. Of course, results can be easily demonstrated in the laboratory; however, we’ve noticed an abundance of natural changes that are perfectly predicted by evolution. So to those who suggest we have not observed evolution, I have a few cases for you to consider. Fruit flies are common test subjects due to the fact that they don’t live very long; therefore, their generations pass very quickly. This is good for laboratory tests, because evolution is observed by comparing living species to their ancestors. 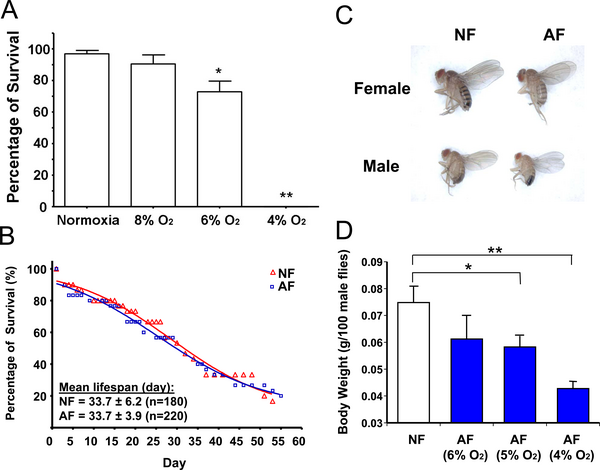 One very interesting study published in 2008 bred fruit flies in continually lower oxygen environments to develop flies that are more resilient to hypoxia (lack of oxygen). The start of the test was simple: they took normal fruit flies and introduced them to environments with different levels of oxygen. At the more extreme levels of deprivation, as you would expect, the majority of flies died before adulthood, and at 4% oxygen there were no survivors whatsoever. They found that the majority of flies were able to survive at 8% oxygen, so in order to help them reproduce (and in reproducing, developing) they started breeding flies in in environment with 8% oxygen (the atmosphere is normally around 20%). From there, they reduced the amount of oxygen by approximately one percent every five generations, allowing the flies to gradually adapt to the lower oxygen environment. Thirteen generations later, the flies were perfectly capable of living in a 5% oxygen environment, and by the 32nd generation the flies were capable of living in the previously fatal 4% oxygen atmosphere. This trait was also shown to be genetic by removing some of the flies from the hypoxic environment and reintroducing them a few generations later, where they were still able to survive (whereas other flies would have died from lack of oxygen). 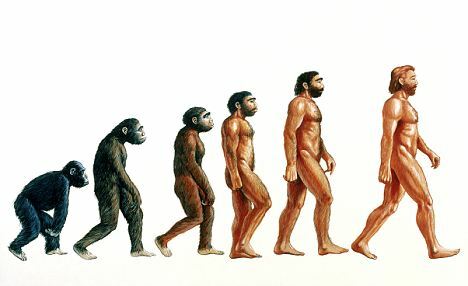 This is exactly what you would expect if evolution were true, and it is a clear demonstration of the principals of adaptation and natural selection, giving strong credence to the claims made by evolution. Obviously, observations in nature are uncontrolled and therefore have more variables. However, there have still been cases where we can see evolution has occurred. Easy examples of organisms evolving are found when we look at bacteria, which reproduce fast enough so that we can realistically study changes that happen over the course of tens of thousands of generations. One example of bacterial evolution would be Methicillin-Resistant Staphylococcus aureus, commonly known as MRSA. MRSA originally came from a completely normal variety of staph infection; however, due to widespread treatment with penicillin, it developed an immunity to it. This bacteria has actually done this more than once. After penicillin stopped working, we had to switch to Methicillin to kill it, then it adapted again and gained greater resistance. Modern MRSA has become so good at resisting antibiotics that there is very little we have that can kill it without harming the person who is infected. We have also noticed that MRSA is doing it again – researchers have noticed colonies of MRSA which have developed a resistance to vancomycin, one of the few antibiotics still effective against MRSA. With these impressive, albiet worrisome, developments aside, we have also seen somewhat larger species evolve to different situations and challenges. One example of that is called the London Underground Mosquito, or more formally known as Culex pipiens molestus. We can’t pull out an exact date, but it appears that this mosquito appeared around the early 20th century. On the surface,one might just think this species of mosquito merely adapted to live underground, but the differences between the underground and above ground variants is actually huge. The above ground mosquitoes that these guys came from hibernate during the winter, only bite birds, and are tolerant to cold weather. The underground variant is active year round, bites mammals (to include dogs, rats, and humans), and is intolerant to the cold. However the behavior of these two mosquitoes isn’t where it stops. We’ve noticed that, in addition to acting completely differently, they have become genetically dissimilar to each other. They will no longer inter-breed, and even the Allele frequencies are different for the two. After a good bit of research we have come to the conclusion that these, though originally the same, are now two different species of mosquito. Why did this happen? Well, it is just the principals of evolution at work. The original population was separated in two very different environments. After a long enough time gene drift and adaptation gives us two different results. And there you have it–evolution observed.